I’ll never forget last autumn. I was back in England for work purposes, and was living in a small apartment, with a galley-sized kitchen. It seemed terribly inefficient and wasteful to even consider using a large oven to cook meals for one, so following the advice of my sister I bought a counter-top halogen oven, something that proved to be an unusually smart move, ultimately saving me a small fortune in terms of electricity used, as well as countless hours of my precious free-time. 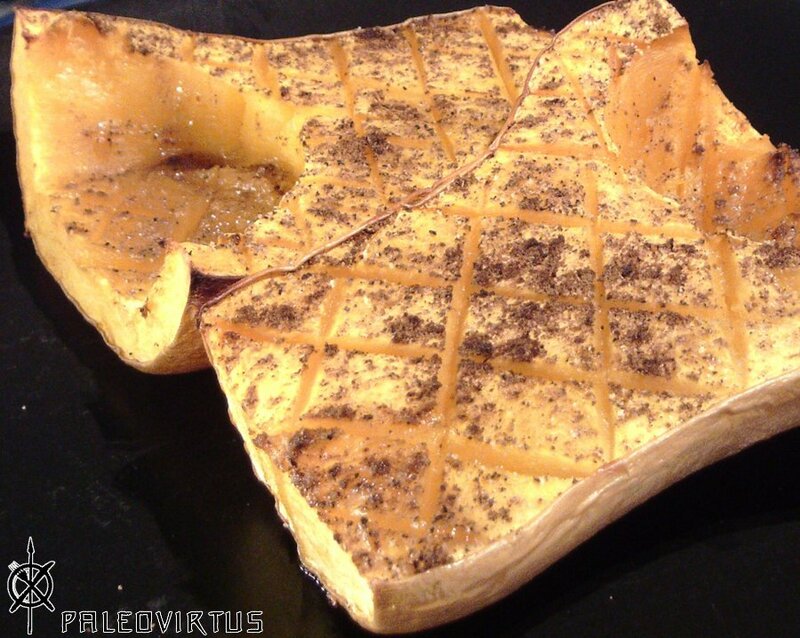 This entry was posted in Food Diary, Recipes and tagged butternut squash, chaat masala, curry, garam masala, Indian, paleo, recipe on November 12, 2014 by paleovirtus. Back to the grind – let’s do lunch! I like to keep lunch quick and simple, as I have a limited amount of time both at home to prepare my lunch before I set off on my commute in to the office, and at my desk to actually eat the meal itself. This then, with only slight variations depending on availability of produce, is my usual lunch-time stomach filler. I prepare everything prior to setting off, and do all the chopping and mixing at my desk, normally sometime around noon-ish. Simply chop / slice, mix, and wolf down. A word of caution – chaat masala is not to everyone’s taste, but if you like it, YOU LIKE IT!! It’s very Paleo – the hint of sweetness comes from dried mango powder rather than s***r. You should be able to find it at your local, friendly Indian / Pakistani grocer. 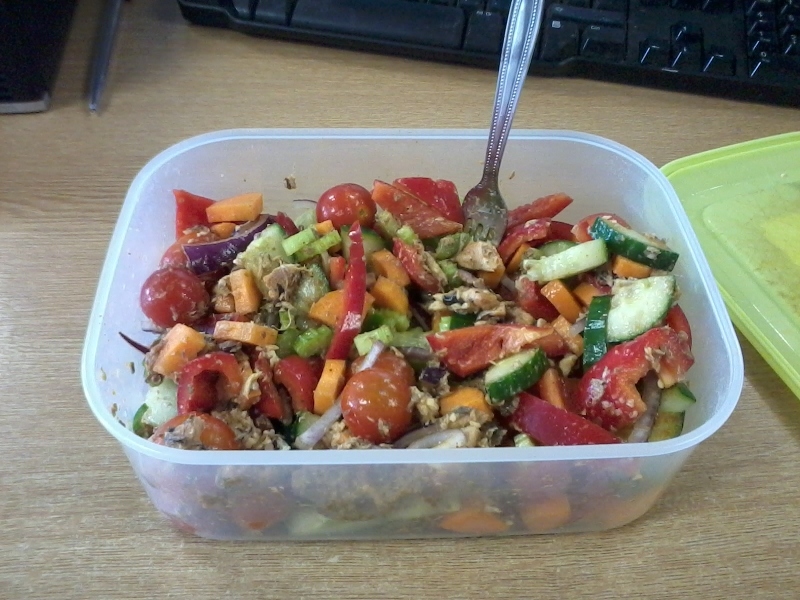 This entry was posted in Food Diary, Recipes and tagged carrot, celery, chaat masala, cherry tomatoes, chilli, cucumber, lunch, paleo, peppers, raw, red onion, salad, sardines on July 14, 2014 by paleovirtus.